My firm handles legal matters in the following practice areas: Family Law, Divorce, Child Custody, Third Party Custody, Grandparent Visitation, Abuse and Neglect, Child Support, Division of Assets, Allocation of Debts, Prenuptial Agreement, Guardianship and Adoption. 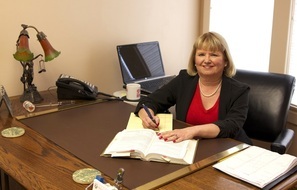 Debra D. Watson will represent your family legal matters. Practice Areas: Family Law, Divorce, Child Custody, Third Party Custody, Grandparent Visitation, Abuse and Neglect, Child Support, Division of Assets, Allocation of Debts, Prenuptial Agreement,Guardianship and Adoption. Member: Pennington County Bar Association; The State Bar of South Dakota. Biography: Pi Sigma Alpha. Member, Board of Editors, South Dakota Law Review, 1978. Author: Comment, "Preferential Assessment of Agricultural Property in South Dakota," 22 South Dakota Law Review 632, 1977. South Dakota Special Assistant Attorney General, 1988. Community Service: State Bar Family Law Committee, Youth and Family Services Director, YFS Kids Fair Chair, Black Hills Red Cross Chair, Family Heritage Alliance Advisory Council, Governor's Legislative and Task Force Visitation Advisory Group.